It's become a familiar news story: The rising cost of homeownership has effectively shut American millennials out of the market. One solution? Hop on a plane to Japan. Japan has a growing number of "akiyas," or vacant homes, available for purchase throughout the country. According to the website Rethink Tokyo, the country's Ministry of Internal Affairs and Communications estimates that there are more than 10 million abandoned homes throughout the country, a number that increases every year as the population ages and people migrate toward cities. 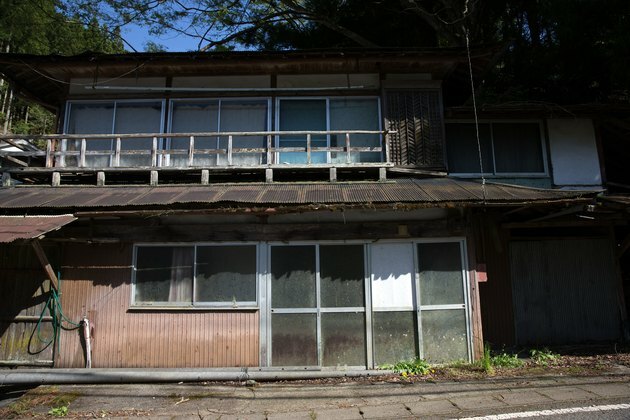 As a way of reducing the inventory of derelict homes, Japan has developed so-called akiya banks, lists of abandoned properties posted online, usually divided by the municipality. (You can see Nagano's akiya bank here, for example.) The homes are incredibly affordable and offered with low interest rates, as well as a simplified sales process. Foreigners looking to make an investment and Japanese looking for a country home to restore have been the main buyers of the houses, which can sometimes come with a social stigma or structural issues — foreclosures in Japan sometimes have ties to organized crime and that doesn't even account for problems like termites, earthquake damage, or ventilation issues. Ultimately, the sales end up being a win-win: The buyer gets an affordable home, and rural communities receive increased tax income and a rise in property values. Akiya banks, unfortunately, haven't yet made their way to the U.S. housing market, even though CityLab estimates that there are 12 million unoccupied homes scattered throughout the country. It's more of a challenge for American buyers to track down vacant homes for sale, and once they do, they might discover that they aren't as cheap as their overseas counterparts. Still, you just might get lucky, as one Nevada couple did when they discovered that simply paying delinquent property taxes — a measly $6,500 — entitled them to an abandoned home in Reno that's worth more than $500,000 today.